Ladislav Čepelák, a graphic artist, drawer, illustrator, later professor at the Academy of Fine Arts in Prague, was born on June 25, 1924, in Veltrusy, and died on October 9, 2000. He attended the Evening Classes of Bauch and Sychra in Mánes, after that he studied at the Academy of Fine Arts in Prague under professors V. Nechleba, V. Rada and V. Silovský. After graduating he worked as a pegagogue and lecturer at graphic school of the Academy. From 1970 to 1990 he was appointed the Head of the Academy. In 1954 he became a member of SČUG Hollar, also was active in Jednota umělců výtvarných (Union of Fine Artists ). Čepelák devoted himself to free graphic and drawing using traditional techniques like charcoal, pencil and ink. 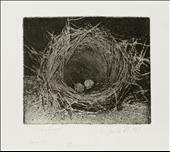 In the field of graphic he concentrated on etching, aquatint, mezzotint and less often lithography. His strongest inspiration was nature which he saw both as a landscape and a detail, especially in changing of the seasons of the year. The locus of his artwork can be seen in the expressive concept of the landscape abstracted to an emotional record. 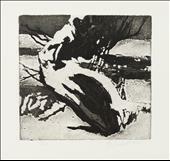 As a native of Veltrusy he created etchings formed into cycles – Veltrusy Park, Landscapes in Povltaví. 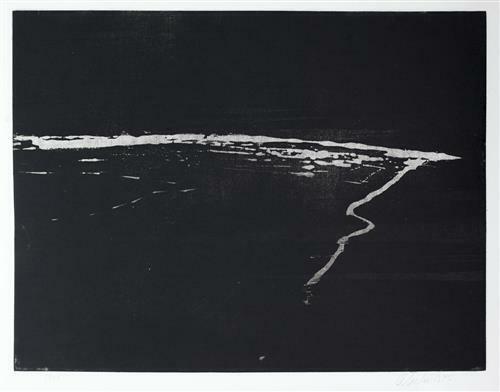 On the turn of the fifties and sixties Ladislav Čepelák got inspired by the aquatint technique for his artwork. Spaces and structures won over lines. His cycles called Trees, Skies/Heavens, Melting, Cobweb, Nests, Snow Furrows, Tilth or Horizons excellently show his positive relation to nature. 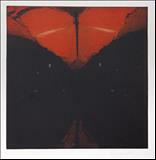 A very signifiant motif of his artwork has lately become butterfly wings. The artist illustrated Charlotte Brontë´s book Jane Eyre or Documents by V. Holan and he also devoted himself to monumental artwork by creating relief scratch work, sgrafitto, for the Czech Embassy in Cairo.